Dr. Chad Tingey is a dermatologist in Ogden, UT and he and his team of professionals address all forms of skin diseases and disorders with expert training and discernment. We also take pride in helping men and women feel confident in their own skin with an array of esthetic skin care services offered at our Ogden office. 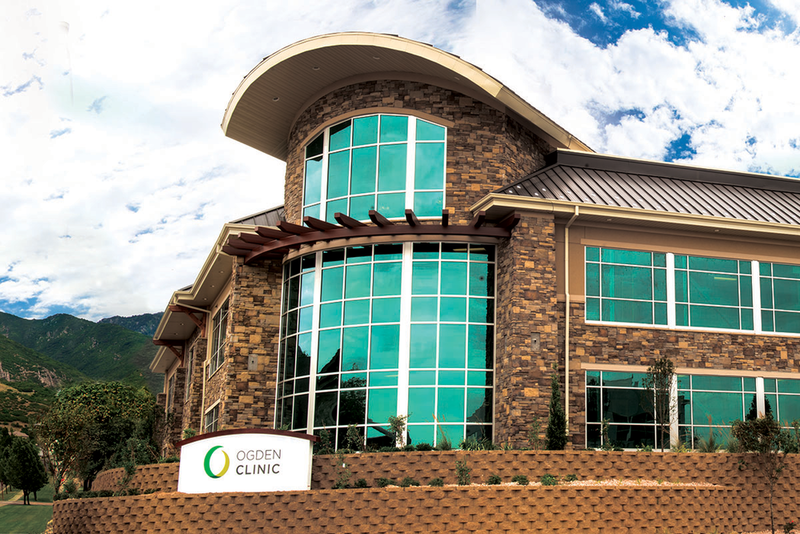 What can Ogden Clinic Dermatology do for you? Our mission is to improve skin health with FDA-approved cosmetic and laser services that address all skin concerns from aging, sun or lifestyle damage, and more. Explore our full range of skincare services for the face and body and find out how skilled Ogden dermatologist Dr. Tingey can help you look and feel better. Dr. Chad Tingey is a fellowship-trained skin cancer and reconstructive surgeon, as well as a board-certified dermatologist in Ogden, UT. He practices the whole spectrum of skincare, from life-saving skin cancer removal to esthetic procedures that help men and women restore their confidence. Born and raised in Las Vegas, Dr. Tingey received his undergraduate education from Brigham Young University before attending Dartmouth Medical School for his M.D. He served an internship in internal medicine from University of Nevada, then a dermatology residency at Loma Linda University Medical Center. While studying and practicing dermatology, Dr. Tingey developed a special interest in skin cancer removal and went on to complete a fellowship in Mohs Surgery, the most advanced method of skin cancer removal. Dr. Tingey performs hundreds of successful Mohs Surgery procedures every year; even the most complicated skin cancers have a tremendous cure rate with Mohs Surgery. Learn more about skin cancer removal with Mohs Surgery here. Our skin is a remarkable organ, and the largest in the human body! Skin protects us from aggressive environments and informs us of several internal issues. And for most of us, the condition of our skin has a lot to do with how we look and feel. Don’t trust your skin care to just anyone; restore smooth, supple, and problem-free skin with Ogden Clinic dermatology! Dr. Chad Tingey is a board certified Dermatologist at Ogden Clinic that is committed to providing quality, cutting edge skin care and skin disease treatment at his Ogden practice. This website provides an in-depth look at the expert services that he offers and is hosted by Dr. Chad Tingey. He proudly accepts nearly all insurance plans. To request an appointment, please complete the form and we will contact you within 24 hours or the next business day. This form should not be used for urgent care matters or potentially life-threatening conditions. In those situations, please call 911 or go to the nearest urgent care clinic or emergency room.